Just in case you didn't make it this obvious. According to trueactivist.com, a company called Face Forensics has extended their lineup of mug-spotting mechanisms to include tattoos, too. Created at the behest of law enforcement agencies far and wide, the system is also able to identify humans by scars and other notable body markings. But let's face it, if you're an inked-up gangster, your tattooed turf-markings are now likely a liability. 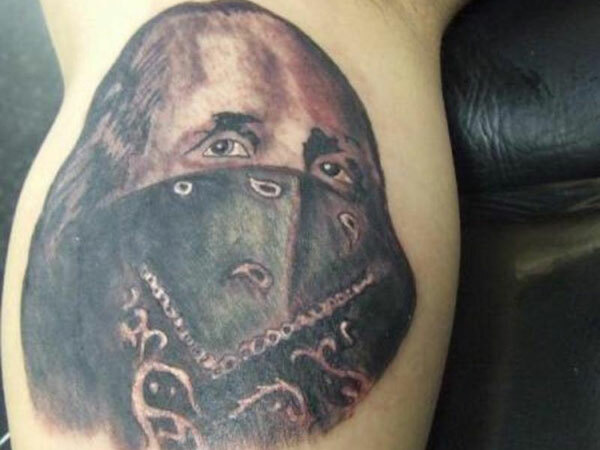 Yes, even your kickass Gangsta Ben Franklin tat is now going to cause trouble for you, criminals. 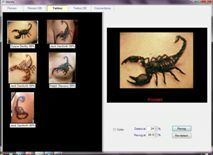 "The f2 Tattoo Module is designed to match an unknown tattoo against a database of tattoos in order to determine if there is a matching tattoo (or tattoos) there. Unlike hashing algorithms, f2 will match a cropped, re-saved, or reformatted tattoo against those in the database. Results are displayed as thumbnails of potentially matching tattoos, in descending order of Match%. Any of these can be selected to display the face and name of the owner in the original database record." Sorry, your ink isn't nearly as unique as you think it is. This technology enables results to appear in seconds, as opposed to the hours that manual human scanning of tattoo photos may require. While the encoding of selected images takes longer than that of faces (due to tattoo art's variety of possible images and no standard features, such as eyes or noses), the results are achieved much more rapidly than conventional methods. 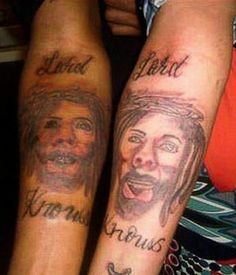 The encoding of specific facets of the tattoo imagery also allows for accurate identification of a cropped or partial image of the suspect's art. This is extremely helpful should the image only show a small fraction of a single piece of ink, or even a larger full-body tattoo that cannot be wholly identified from the photographed perspective. just on their, uh, merits, alone. Even heavily-blurred or magnified images, such as those that may be captured by a security camera, are accessible to the "Recog" (recognition) capabilities of the program. Should there be any question as to whether the bearer of the ink is indeed the chief suspect, right-clicking on the matched image will show the database's name, photo, and other tattoos of the possible criminal in question. So if you're a badass thug who wants to proclaim their individuality and toughness to the world, let your actions speak louder than your ink...your artwork may be a snitch unto itself. Sorry gangsters, your days of anonymity and artfulness are at an end. You're better off not having a bandage covering your tattoo than to suffocate your new tattoo with a plastic wrap.